when I put a kalman arithmetic in one of my C++ program . It is too big and I had the above warning. 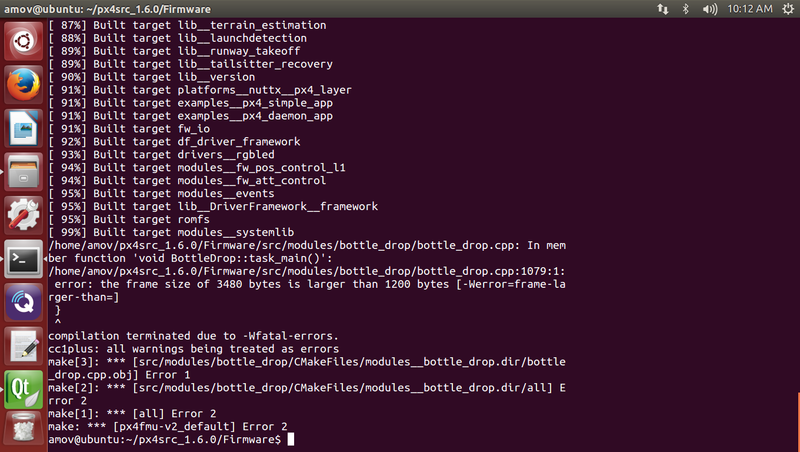 What does this error mean: `somefile.c:200: error: the frame size of 1032 bytes is larger than 1024 bytes`? I've already solved the problem! Then I changed the CMakeList.txt next to my file . Ah ok, thanks for reporting your fix, that's helpful!